Kasanka National Park – Travel Guide, Map & More! 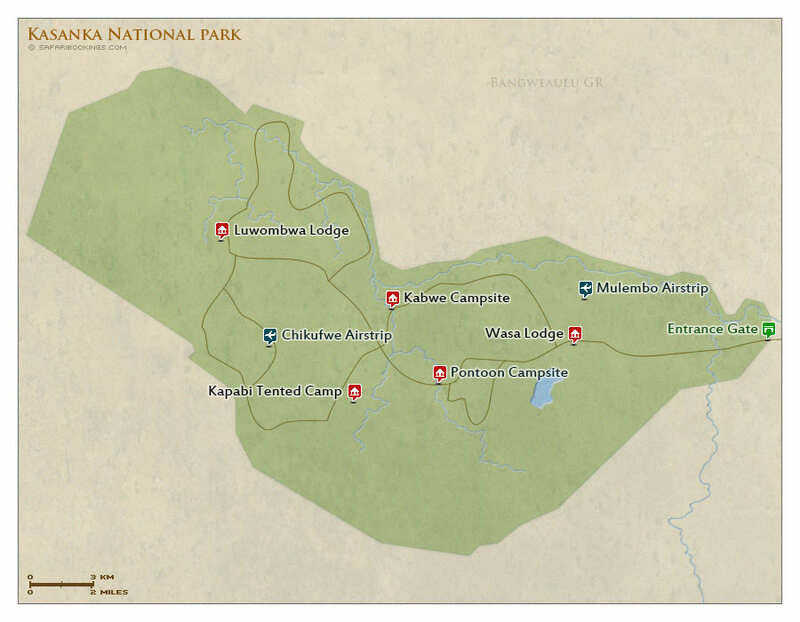 Kasanka NP is the only privately managed national park in the country. It is run by a charity, the Kasanka Trust, and all proceeds go back into conservation and the surrounding communities. 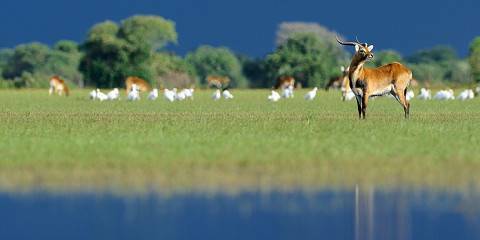 A visit here is often paired with a stop at the Bangweulu Wetlands. The park is not a classic wildlife destination, but highly rewarding for people interested in birds. Part of the park’s habitat is swamp, and the shy and elusive sitatunga antelope is easily seen. Kasanka doesn't have big wildlife densities, but there are some interesting species. Top of the list is the elusive sitatunga. This semi-aquatic antelope can be observed from Fibwe Hide, a platform overlooking a wetland area. Other mammals easily spotted are Lichtenstein’s hartebeest, sable and puku. Less commonly seen is the shy roan antelope. Other small creatures include blue monkey, warthog, mongoose and straw-coloured fruit bats. Although quite small, the park has a good variety of habitats. Of major interest is the big swamp area, home to the sitatunga. The rest of the park is a mosaic of grassland, miombo woodland and evergreen thickets. The rivers are fringed by forest. During its Dry season (May to October), Kasanka dries out and stays warm. But when the sun goes down and before it rises, cold permeates the air. You’ll need plenty of insulation from the elements if you’re going on an early or late game drive. The Wet season (November to April) brings spectacular storms and more warmth. Across the two seasons, temperatures remain fairly stable thanks to the park’s tropical climate. The latter part of the Dry season (May to October) is ideal for finding animals – they won’t stray far from the remaining sources of water. 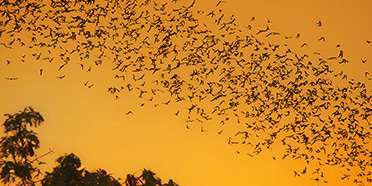 Roosting fruit bats and newborn animals are some of the attractions of the wetter months, though it’s much harder to get around the park once the rains have started. Either way, you won’t be troubled by crowds as Kasanka never gets many visitors. 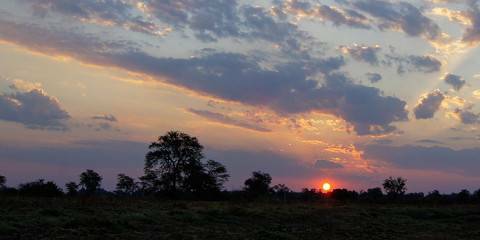 Want to Visit Kasanka NP?